Many people are aggravated when it comes to bone-chilling temperatures, but for hunters, it is anything but. Cold weather can make a hunter’s spot in the woods a paradise. While some Penn Manor students hate to see the bad weather hit so soon, other students couldn’t be happier. “Cold weather is the best for hunting, deer move around a lot more,” said Penn Manor senior David Schneider. 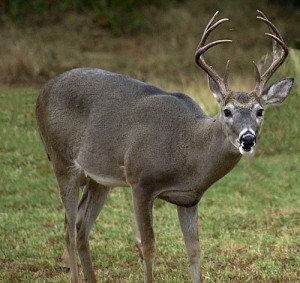 According to Ezilon.com, white tailed deer tend to be more active during cold weather rather than warm weather. In warm weather, deer like to settle down in cool, dense areas where as in colder weather, they experience and adrenaline rush and like to roam around to stay warm. “Around here, warm weather is almost the worst weather to hunt in. I hardly see anything,” said Penn Manor senior James Frese. Deer, like many animals, also have an amazing sense of when Mother Nature is changing and storms or other bad weather is coming. Since whitetails are herbivores, they only eat plants. So, with temperatures decreasing and winter approaching, deer scramble to find food before the bad weather sets in for good and food sources become scarce. Since the temperature decreases earlier in the year, deer begin to get out and eat all they can before the winter hits. This causes them to be more interested in food and less interested in predators causing hunters to see them more. ‘There’s been so many deer out lately just roaming around eating plants, ” said Frese. According to the farmers almanac, this winter is going to be cold and wet. The weather around our area will be unusually cold and stormy. “I cant wait to hunt this winter, I’m gonna be killing all sorts of deer,” said Penn Manor senior, Patrick Sarvard.